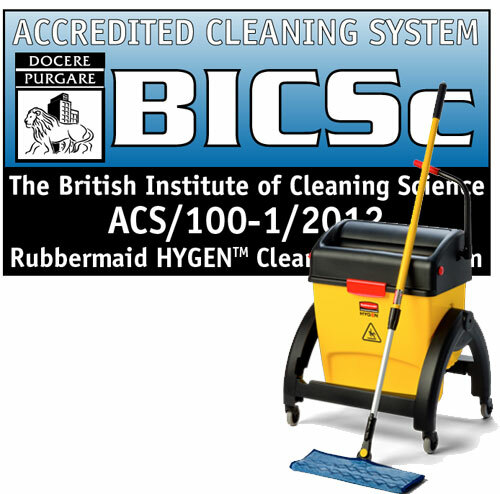 Rubbermaid Commercial Products has been awarded a prestigious Cleaning System Standards Certificate of Accreditation from the British Institute of Cleaning Science (BICSc) for its award-winning new Rubbermaid HYGEN™ Clean Water System. Now your cleaning team can clean floors at least 50% faster, easier and more efficiently – without mixing a bucket and chemicals: Rubbermaid Commercial Products is launching the Pulse™ Floor cleaning system that combines our industry-best Microfibre mop with the time-saving portability of an on-board cleaning liquid reservoir. Just an easy push of a button, to squirt cleaning liquid directly onto the floor. No bucket – no mess – just fast and easy. Contractors who are responsible for large areas of hard flooring should seriously consider purchasing a Backpack Polish Applicator in order to speed up the process of polish application. Using this system you can cover about 1000 sq ft in about 5 minutes and the product dries up to 3 times quicker than using conventional methods. 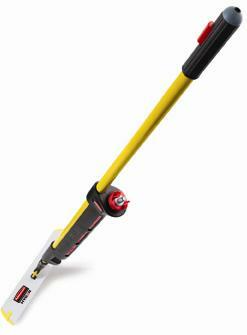 T5 Embraces Bucketless Mopping and Sees a Major Leap in Productivity. Terminal 5, Heathrow’s newest and largest terminal with over 30,000 visitors a day has recently implemented a bucketless mopping regime. Surveys in the US show up to one in three people do not wash their hands when using the toilet and with germs able to live up to 72 hours on door handles, building owners have to be concerned. Further to my recent blog regarding the new Hygen bucket that filters its own water. Rubbermaid have just released a new video which can be viewed below. Amazing new Rubbermaid Mop Bucket cleans the water as you clean the floor. Rubbermaid have just launched an amazing new mop bucket that cleans the water as you clean the floor. The new Hygen bucket filters the water in a separate chamber allowing clean water only to come into contact with the mop.